Countless teenagers dream of acne-free complexions, while 40-year-olds might cringe at the sight of fine lines and wrinkles. The truth is that every age has its own unique set of skin challenges. The key to having a beautiful complexion at any age is to know your skin’s characteristics, and choose gentle products suited to your skin’s type. Fighting acne may seem like your biggest priority (and no, those in their 20s aren’t immune from the annoyance of blemishes). However, what you should really focus on is prevention—of sun damage, wrinkles, and hyperpigmentation (uneven complexion and dark spots). Use a gentle cleanser and a light moisturizer, such as a lotion rather than a cream. For blemishes, use a natural acne-fighting spot treatment gel (available at health food stores) on problem areas. 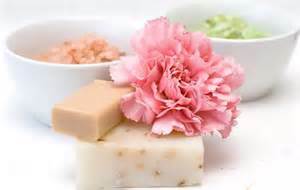 Key ingredients can include tea tree oil or naturally sourced beta hydroxy acids. Never squeeze pimples, as this can increase the risk of scarring and slow healing time. Prioritize sun safety. Wear a good quality natural broad-spectrum SPF sunscreen daily, available at natural health retailers. Skip the suntanning, including tanning beds! Choose protective clothing when out in the sun, wear sunglasses, and seek shade when possible. You may notice hyperpigmentation and the appearance of some faint lines. Lack of sleep and stress (due to career demands, children, or other life stressors) may contribute to dull skin and dark eye circles. Consider adding brightening products to treat hyperpigmentation, exfoliating products to slough off dry skin and fight a dull complexion, and a cooling eye gel to your skin care toolkit. Natural brightening products that target dark spots range from cleansers to eye creams. They often include ingredients derived from flowers and roots. When choosing an exfoliator, consider one made from sugar, salt, oatmeal, or jojoba beads. Avoid those made from plastic microbeads—these common ingredients travel down the drain and into waterways, where they pose a danger to the environment. Alternatively, choose a liquid exfoliant that contains natural acids, such as those derived from fruit. The good news: acne is likely a thing of the past. The bad news: this is also the time when our skin’s elasticity begins to decrease and collagen loss occurs. Skin often becomes drier as well. Nourishing is the key word. Support your skin and protect it from the daily elements by using a richer, thicker moisturizer, such as a cream rather than a lotion, and a nightly serum. A weekly nourishing facial masque can also add hydration to the skin. Dry skin and wrinkles become more pronounced in your 50s. Hormonal changes can also change your skin in unexpected ways—after menopause, women’s skin produces less oil, which can contribute to more dryness and itchiness. While there may be no way to reverse wrinkles, there are many natural products formulated to help firm, soften, and hydrate mature skin. Good investments include a high quality facial cream and eye cream. The layer of fat beneath our skin thins as we age, and bruising can also occur more frequently, due to thinner skin and loss of support around blood vessels in the skin. You may also notice age spots. Also called “liver spots,” age spots have nothing to do with the liver. They’re pronounced hyperpigmentation caused by years of sun exposure. However, growing older gracefully means recognizing that your face reflects a life well lived—including all the laughing and smiling you’ve done—rather than trying to combat every wrinkle. The focus at age 60 and beyond is on protecting your skin, which is thin, delicate, and often sensitive. No matter what your age, follow these essential tips to keep your skin in tip-top shape. Less is more when it comes to your skin care routine, so when in doubt, use fewer products. Using too many products at one time—especially antiaging products—can be irritating. Strange, but true! Your ring finger is your weakest finger, and therefore the most gentle on delicate under-eye skin. Wash your skin using your fingers; a washcloth, sponge, or brush can irritate sensitive skin. And needless to say, never scrub or pick your skin. In addition to the endless list of internal damage smoking can cause, it can also do damage to our skin, making smokers look older. Not only can smoking damage collagen and elastin in the skin, but it can also deplete the skin of oxygen. Too much stress can exacerbate acne and skin’s sensitivity. Try to make time in your day for stress-reducing techniques such as yoga or meditation, journalling, soaking in the tub, playing with your pet, or chatting with a friend—whatever works for you. Eating plenty of vitamin C-rich foods—as well as limiting unhealthy fats and junk food—may contribute to healthy-looking skin. There are also skin supplements available at health food stores that are formulated to help improve skin’s appearance.